Noble concept. Unrealistic, but… noble. Now fast forward to your present reality. I bet most of your days are filled with practice management. What Paul went on to describe was a common thread in the Personal Injury category. You were trained to practice law, but instead found yourself in the business of law. Often, you have had to invent solutions on your own. Figure out systems on your own. Make mistakes on your own. In other words, learn the hard way. Let’s be honest, none of your local competitors will lend you advice. They certainly won’t let you peek under their hood. It leaves a massive void when it comes to asking questions, seeking advice and getting real answers. FEB 11th-14th, 2016. NASSAU, BAHAMAS. While Group Matrix’s expertise is in attorney advertising, practice management issues seem to dominate most of our conversations with clients. 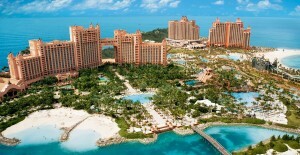 This year, we decided to hold a client retreat in the Bahamas so we could address this topic. There were no speakers, no seminars, and no experts. There were no earth shattering revelations about the practice of law. Instead, our attorney clients got to disconnect from their practices. They really got to talk to each other. Listen to each other. Get to know each other. Pick each other’s brains. Develop a network of people they can talk to in the future. And… it was a homerun. Each of our clients walked away refreshed, energized and more confident in their own practices. Most importantly, they walked away with friends they could call if they ever had a question. - My notes from 9 ½ years ago.